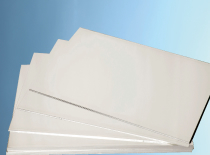 We will introduce the material lineup manufactured by Akao Aluminum. Pure aluminum with a purity of 99.0% or higher is called "pure aluminum", and those with other elements added are called "aluminum alloy". 1100 with 99.5% purity and 1050 with 99.0% purity are typical alloy types. A small amount of Cu or Ti is added according to standards. 1070 is mainly used for aerosol cans and pharmaceutical packaging materials. 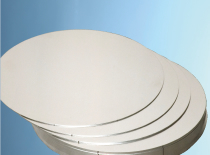 Alloys keeping the 1000 series pure aluminum's characteristics, with increased strength. 3003 is used for battery cases etc, and 3005 is used for cooking containers such as pans. 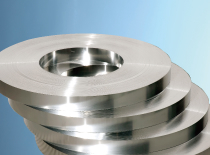 The 5000 series alloy has high strength and has excellent resistance to corrosion and sea water. 5005 is excellent in alumite treatment and 5052 is a typical alloy type with high versatility. It is a corrosion resistant alloy of a heat treatment type. High strength value can be obtained by subjecting 6061 to heat treatments such as solution treatment. It is used for hard disk bearings and automotive parts. We stock various materials and will manufacture with the smallest lot of 300 kg with the desired thickness and dimensions. We also support a small sample of prototype materials.